Pitbulls face an assortment of skin conditions that could be extremely detrimental to their health and well-being. It’s been long known that skin conditions in red and blue nose pitbull puppies are extremely common. Furthermore, pitbulls that are affected by these conditions have to endure extreme pain and discomfort. However, by providing proper care and paying close attention to all the warning signs and symptoms, you can help treat your little one’s skin problems. Now, it’s important to note that the best medicine in the world won’t cure the condition if you’re not targeting the source. The key to providing medicinal relief is to find the cause of the irritation. This will take a multitude of approaches as well as trial and error, but just know that your pitbull will thank you in the long run. There are numerous causes for these skin conditions – it could be genetic, parasites, or even the food they’re eating. Prior to taking matters into your own hands, it’s wise to seek professional advice from your local veterinarian. However, such treatment, if not mandatory, may cost you thousands of dollars. There could potentially be alternatives. One of the biggest causes of skin conditions lie in the pitbull’s genetics. Now, there isn’t a finalized study that shows which pitbull type is immune to such skin conditions, but it is more common in white and blue pitbulls. Many blue and red nose pitbull breeders have found that white and blue pitbulls scratch their coat more often from some type of irritation. Taking a closer look, many of these colored dogs tend to have red bumps and rashes develop over time. The type of food that you’re giving to your pitbull could also exacerbate his or her allergies. Keep in mind that some of the most commonly-known ingredients that excite these allergies are; wheat, corn, and soy. Be sure to check the ingredients on each bag of food that you purchase. It may be worthwhile to spend a bit more on the more premium bags to ensure that your pitbull doesn’t develop any rashes due to a faulty diet. If your pitbull developed bumps or rashes recently, check around to see what you did differently around the house. Are you cleaning with a different solution? Did you purchase a new type of bedding? It could even be a different type of cologne or perfume that you just started using. There are essentially thousands of possibilities and it’s extremely difficult to narrow it down. What you’ll want to do is backtrack and see what major changes that you made around your house. You’ll eventually find the source of the problem and make the necessary change. 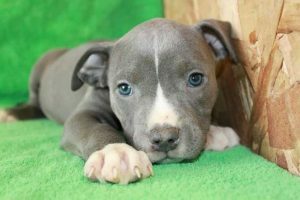 Using the finest techniques for pitbull breeding, Iron King Kennels cares for all their pitbulls. Visit them today for more information.